Books are full of coupons from local restaurants, entertainment venues, stores, and MORE! 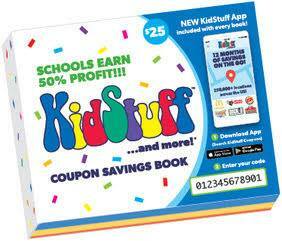 There is an APP to hold all your coupons so no worries if you are out and left the book at home! Sell to your family and friends who do not live in New Jersey! You can get a book for almost anywhere in the United States! Selling has never been easier, sign in online and share your link via e-mail, text or social media!